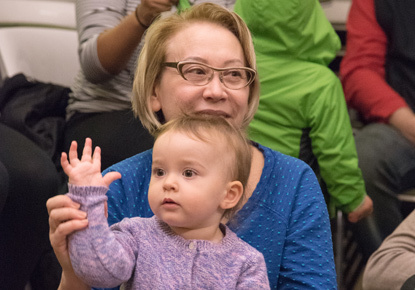 Thursday, June 7, 2018, 6 – 7 p.m.
Bring your toddlers and preschoolers to enjoy stories, rhymes, songs and fun with our American Sign Language (ASL) storyteller at the Lake City Farmer's Market. Join us for a story time presented in American Sign Language with voice interpretation. ASL-fluent staff will be on hand to answer questions about the Library.